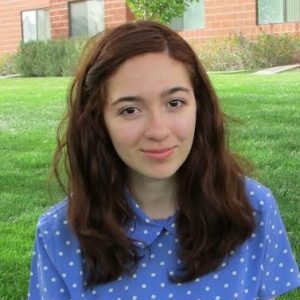 Today’s blogger, Anabel Olguin, is a company member and one of Brelby’s production managers. She’s a gifted physical actress and delivers jokes with a dry wit that is difficult to match. 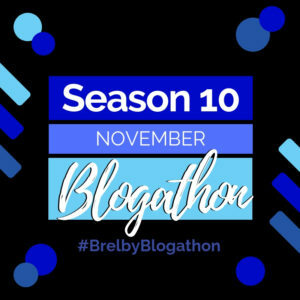 Below, Anabel shares 10 Brelby memories that have stuck with her. I don’t know how, but it has been over four years since I first starting working at Brelby. Time seriously flies. So after four years, 15 or so productions later, I have gathered quite the collection of memories that I believed have helped my become the artist I am today, in chronological order. She Kills Monsters was the first Brelby show I was a part of, as well as the first community theatre show I had ever done. I am pretty positive that SKM will always hold a special place in the hearts of everyone who was a part of it. Although I don’t remember my audition, I vividly recall callbacks. I knew almost no one in that room, but I remember feeling quite comfortable with everyone. I remember Brian had us do all this stuff that I considered to be weird back then (but now I am used to). At one point, he had us dance as dorkily as possible to “Happy” by Pharrel. I seriously didn’t expect to be cast, but I appreciated being called back nonetheless. Lo and behold, I was offered one of my favorite roles that I have ever played, Farrah the Fairy. This role also introduced me to an art form that I had never done before, and quickly fell in love with: stage combat. During my first two years at Brelby, I only did shows during the summer. A year after SKM, I did my second ever epic Beyond Musketeers: Utopia Lost. I was offered the role of Aramis, which is originally a male character. During the entire audition process, I was sure that all of the Musketeer roles would be played my men, which is why I was really confused when I was offered the role. This show was so much fun, and it definitely pushed me as an artist. First of all, it was one of the first shows I’d done where I played a ‘lead’. Secondly, that show had ALL the stage combat and I did some pretty cool stuff, if I do say so myself. Also, I think Brian wanted to kill us during the first week of rehearsals which we called “Boot Camp”, but I’m sure we all secretly liked the pain. My third show at Brelby (again, a year after my previous show) was The Oz Chronicles, another stage combat heavy show. Do you see the trend? This was the second original role I portrayed, and I had a blast playing an antagonist again. Although this show had a shorter run, a lot of stuff happened, particularly in the injury department. I don’t think anyone will forget the time Clayton destroyed his knee on a two- show Saturday and Luke had to step in and do both roles. All in all, it was a great show and I even got the chance to share the stage with Bertha for the first time since 2011. Plus, I also kind of learned how to use nunchucks! Improv was never something I thought I would do. Even a year and a half after joining Results May Vary, I am surprised that I actually went for it. I still remember my very first performance, which was after one of our unexpected shows. The entire team was present that night, and from what I remember, we were all on our A game. I was a nervous newbie then, and I still believe that it was one of the best improv shows I have done. Our next stop is the adorable Elf Academy. After a while of not doing any stage combat, I returned to the stage as Sydney, a polar bear. I also had the opportunity of designing Hair/ Makeup which I had a lot of fun doing. There was no escaping the glitter in that show! Sorry, not sorry! This year, I had the pleasure of attending the Brelby Artist Retreat. I hate to admit it, but my introvertedness made it so I wasn’t 100% excited about going. I knew that I was going to be surrounded by a lot of people day and night and thought of that intimidated me. I am pleased to say that I was wrong and that trip was totally worth it. I got the chance to connect with and learn more about people I barely knew. I won’t go into detail, but I had a wonderful time and I am so glad I went. Spy Love You, the show that required me to wear 3 different wigs and allowed me to fulfill my lifelong dream of playing a motorcycle (I have a scar from that, btw). This is the show where the Hot Mess Trifecta was born, and we were pretty obnoxious about it. Jon made Tyler and I learn some K- Pop dance routines whenever we had free time backstage, and thus the Trifecta was solidified. Last, but certainly not least, we have 12 Days of Christmas. We open on November 30, come see it! As I am writing this, we are barely a week into the rehearsal process. Yesterday, Shelby, Jon, and I spent the better part of the day going around town filming various memory sequences for the show. We got the chance to play with the cutest puppy I’ve ever met, we had a picnic/ food fight at the park, and ride some rides at the fair. It was a super fun day and hopefully the footage turns out well! Ok, I talked way too much so I am just going to leave it at that. Also, come see 12 Days of Christmas, it’s free.